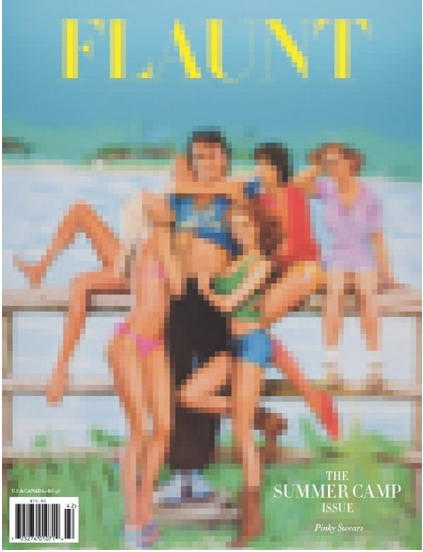 I'm excited that my short story "The Zipline" has been published in the yearly summer fiction issue of Flaunt, a fashion and culture magazine distributed in over 32 countries. The theme of this issue is "Summer Camp" and features profiles of Elizabeth Banks, Aaron Taylor-Johnson, Nicholas Hoult, Hank Azaria, and more. My story is about a couple of camp counselors who go naked zip lining. I'd like to thank editors Amy Slocum and Ryan Ellis for publishing my fiction! You can pick up a copy of the magazine at bookstores and news stands across the country or read the story right here. Thanks for reading!